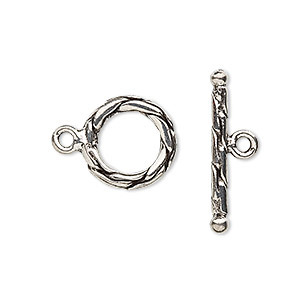 Clasp, toggle, antiqued pewter (tin-based alloy), 10mm. Sold per pkg of 4. Item Number: H20-7178FN Have a question about this item? 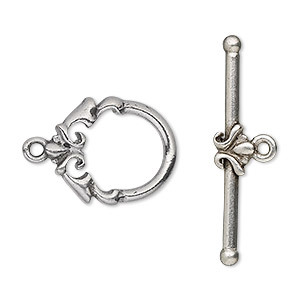 Pewter (tin-based alloy) clasp with a beautiful antiqued finish. 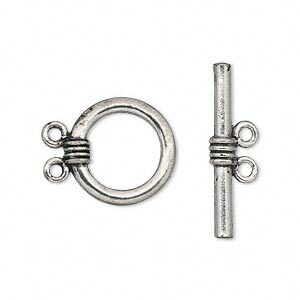 Clasp, toggle, antiqued pewter (tin-based alloy), 9.5mm round. Sold per pkg of 4. 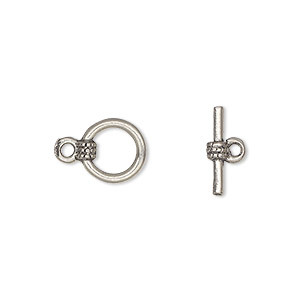 Clasp, 2-strand toggle, antiqued pewter (tin-based alloy), 16mm round. Sold per pkg of 2. 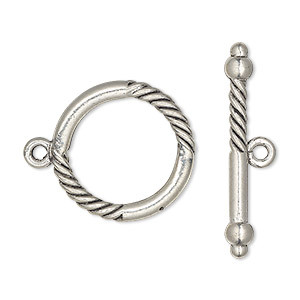 Clasp, toggle, antiqued pewter (tin-based alloy), 15mm round with rope design. Sold per pkg of 2. 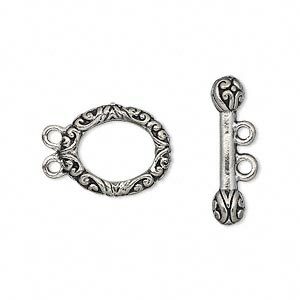 Clasp, 2-strand toggle, antiqued pewter (tin-based alloy), 16x13mm floral oval. Sold per pkg of 2. Clasp, toggle, antiqued pewter (tin-based alloy), 21mm smooth and twisted round. Sold per pkg of 2. 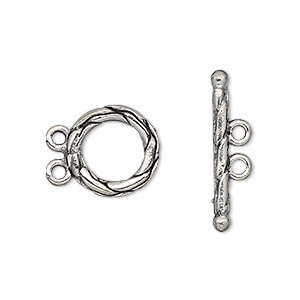 Clasp, toggle, antiqued sterling silver, 10mm smooth round. Sold per pkg of 4. 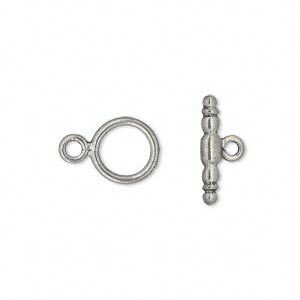 Clasp, toggle, antiqued pewter (tin-based alloy), 20x16mm fancy round. Sold per pkg of 2. 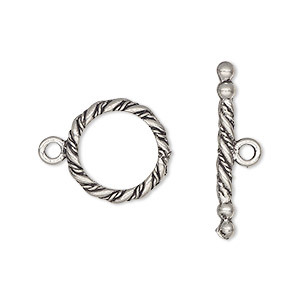 Clasp, 2-strand toggle, antiqued pewter (tin-based alloy), 13mm braided round. Sold per pkg of 2. 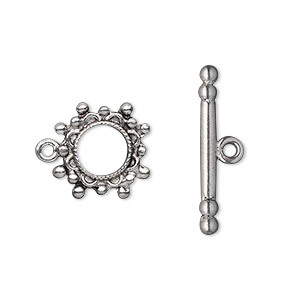 Clasp, toggle, antiqued pewter (tin-based alloy), 13mm studded round. Sold per pkg of 2.